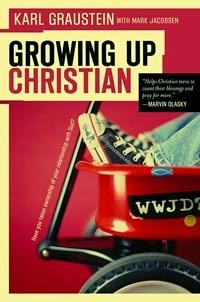 How does a Christian grow? How do we grow in faith? How do we grow in holiness? 1. Daily Reading the Bible – Each day I try to read one chapter from the Old Testament and one chapter from the New Testament. I read slowly, carefully considering the truths in each chapter. I ask God to reveal to me lessons for the day, and I seek to make practical application to my life. The change in my life may be small when measured on a daily basis, but over time the growth has been pronounced. 2. Daily Prayer – Each day I try to spend time praying to my Heavenly Father. I seek to worship him, talk with him, and hear from him. I declare my need for his wisdom, guidance, and help. I lift up to him my family, my circumstances, and my future. I know I am communicating with the all-mighty, all-knowing, and all-powerful God of the universe. I know I am praying to my God who loves me and cares for me. Daily prayer feeds my faith. 3. Learning from Mistakes – It is easy to beat myself up for my mistakes and endlessly rerun them endlessly in my mind. But, I try to learn from my mistakes and see them as opportunities for growth in faith, in character, and in resilience. I confess my sins and ask God to forgive me, and I acknowledge my weaknesses. I seek to be a humble learner, listening to the guidance and teaching of God. I find that in my mistakes, I am keenly aware of my need and I am often more attentive to the lessons God has for me. I do not like making mistakes, but I value the important lessons I have learned through them. 4. Refinement through Trials – Trials are a reality of life for all of us. We are either in a trial, coming out of a trial, or heading into a trial. I get frustrated and impatient when I have to endure difficulties. Yet I also look back at my life and see how God clearly taught me through trials. Some of the clearest truths have come through lessons learned in hardship. I have walked through significant health issues personally and within my family. They have been extremely difficult, but God has met me powerfully. I have seen his closeness, and my weakness has helped me know he is near, he is strong, and he is ready to help. Although I do not like trials, I do like the spiritual growth they have produced in my life. I pray that God continues to help us grow!